A well-known and widely-used provider which has seen some mixed reviews in the past, GoDaddy offers an assortment of hosting-related services. Some users love it and stick with it loyally. Others have been less impressed, citing unhelpful customer service among their biggest complaints. GoDaddy is a reliable host (with 99.9% uptime and industry-leading page load times) at a very reasonable price, with plenty of good introductory deals and a very full, flexible service. With so many customers using GoDaddy hosting to support their online projects, the company is surely doing some things correctly. Users of all skill levels can easily establish GoDaddy domains, build a site, and then publish it to the web. The company provides excellent tools for users to create, customize, and promote their websites. GoDaddy is a massive, efficient, web hosting machine. Perhaps due to its size, its ability to provide excellent customer support is diminished. While GoDaddy's customer service is readily available, at peak times you can expect to spend long periods on hold. Equally, if you're not quite sure what you're doing, you may find that it's difficult to convey what you need to support staff. Because of that, if you're a nervous first-timer, you may want to invest a little more in a more customer-focused web host. With free domains for the length of your initial plan, free email (up to 1000 addresses), 200+ free applications (including WordPress & Joomla), unlimited storage (with Deluxe & Ultimate plans), and lots of VPS options for bigger enterprises, GoDaddy is a full-featured web service. Ultimately, if you are technically savvy or have some experience in setting up a site, GoDaddy is a fantastic option. With so many hosting plans, domain options, and other special features, GoDaddy can accommodate nearly every type of online project. (Rest assured, you’ll be protected by GoDaddy’s SSL.) Its popularity alone attracts many first-time web builders. You might think that it would be an excellent option for pretty much anyone looking to establish an online presence. I have not found that to be the case, though. GoDaddy is ideal for a user that has a little bit of web admin experience or is planning on creating a very simple site. Customers looking to set up a GoDaddy WordPress site, for example, should have little trouble doing so. However, I would shy away from recommending GoDaddy for the first time Ecommerce customer. There are so many fantastic tools and services that can support your store; but they can be tricky to use and customer support can be shaky at times. Bottom line, I am reluctant to say that GoDaddy is ideal for all users. If you don’t know the difference between a mouse and a motherboard, you’re probably going to need a hosting provider with better customer service capabilities. One of the benefits of a company being as large as GoDaddy is that it can venture out and try new things. Sure, the company has technical features like unlimited storage, bandwidth, and MySQL databases. It even throws in marketing credits, a web builder, and one-click installation with every GoDaddy account. Most hosting providers do those same things, though. Where they really push the boundaries is with features like GoDaddy Auctions where customers can bid on, buy, and sell domain names. I like that there is a GoDaddy Bookkeeping service for its Ecommerce sites that those of us who did not major in accounting can use to keep our online stores afloat. Finally, where other providers might offer one, users can select from multiple GoDaddy SSL certificate plans to keep their customers’ information safe and secure. GoDaddy offers 2 tiers of hosting plans, the first is designed for light to medium use. The second tier is GoDaddy Pro, designed for heavier duty usage. Great for beginners or if you just want to set up a single site, Economy gives you everything you need to get your website up and running on the Web. With one website, 100GB storage, unlimited bandwidth, up to 100 email addresses, and a free domain for the length of your initial plan, this option is good for getting started and should be more than ample if you don't have any particularly grand online plans. If you need something with a little more juice, Deluxe will allow you to create an unlimited number of websites, providing you with unlimited storage, unlimited bandwidth, and up to 500 email addresses (bear in mind that GoDaddy's Workspace Webmail is rather old hat and clunky), alongside the standard free domain registration offer. If you're looking for something more substantial, Ultimate should be more than enough unless you're starting an online empire. This package offers unlimited websites, storage, and bandwidth, up to 1000 email addresses, premium DNS, a one-year SSL certificate (for extra security), plus double the processing power and memory when you use GoDaddy Ultimate and cPanel with Linux. For more significant undertakings, GoDaddy Pro offers a souped up service to business customers that includes a range of managed, self-managed, and fully managed packages for Linux and Windows, ranging from 1GB RAM with 40GB storage and 1TB of bandwidth per month, up to 8GB RAM with 240GB storage and 8TB of bandwidth monthly. There have been concerns raised about GoDaddy's security in the past. After starting out as a domain name registrar, GoDaddy branched out into web hosting relatively recently, which means the service is still a bit of a work in progress. On the upside, this means GoDaddy is still actively improving its service and staying vigilant. Recent reports suggest its security is vastly improved, with the GoDaddy security team monitoring the network 24/7 for suspicious activity and protecting against DDoS attacks. With plenty of options for password protecting your directories, there are now lots of steps you can take to look after your data. Something GoDaddy has become very good at is reliability. If the service provides you with anything less than 99% uptime you can claim a refund for the month. It also offers some of the fastest page loading times on the web. As you might think, GoDaddy incorporates a significant amount of current and cutting-edge technology into its services. Even the basic plans are crammed with technology-rich features. 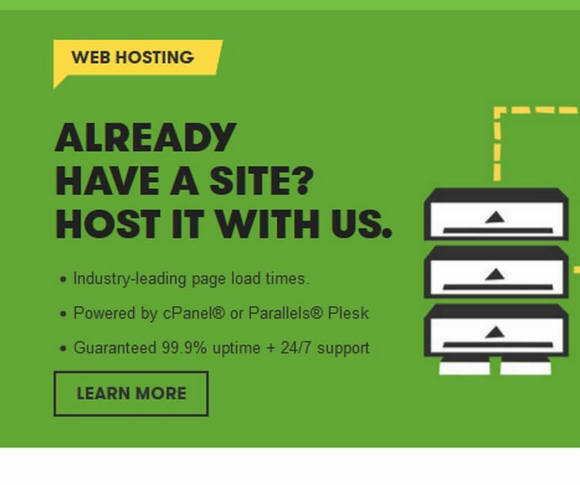 GoDaddy web hosting uses cPanel, adding a level of third-party familiarity to a sometimes vast menu of proprietary services. Site builders are not limited to one individual being able to do administrative work on the back end. Basic plans allow for 50 GoDaddy FTP users while some plans have unlimited users. That same breakdown is reflected in GoDaddy DNS management, too. Basic plans have a domain-naming system and the high-end plans have premium DNS, giving users complete control over how they set up the hierarchy of their online project. Less obvious technologies are at work for some of the other unique products and services offered by the company. GoDaddy Bookkeeping clearly has some accounting processes going on behind the scenes and the auction service is completely out-of-the-box. Because of the sheer number of GoDaddy hosting plans, pricing can be difficult to track. The company offers multiple tiers for each of its shared, WordPress, VPS, and dedicated server hosting. Additionally, there is usually some sort of special deal to be found on its main website. Beyond that, any quick online search will net you some awesome GoDaddy discount codes. GoDaddy offers many services above and beyond web hosting. To include the prices for all of them would be an exercise in futility. I encourage you to refer to the company’s site for current pricing on web builders, marketing tools, and domain registration. Just as with hosting, there are some great GoDaddy domain renewal coupons to be found on the web. For as much as it has going on, GoDaddy is a fairly easy-to-use hosting provider. The integration of the industry standard third-party control panel, cPanel, makes migrating a site from another host as simple as riding a bike. Even first-time users will easily master many of the GoDaddy templates to make their web pages pop. Ecommerce customers will appreciate the GoDaddy quick shopping cart installation so that they can start selling their wares on their online store. With so many one-click tools available, the company does offer a significant amount of energy-saving devices. Grab one of the many GoDaddy codes that I came across online for a discounted introductory price and find out for yourself. The speed with which customers can get up and running with GoDaddy is one of its strongest selling points. In just a few clicks you can use the GoDaddy website builder to get all set. With one more click, you can install one of over 200 apps to help you build, market, or monitor your GoDaddy online store, including Joomla, WordPress and Drupal. If you prefer some support with building your site, I recommend investigating the GoDaddy web design with a complete hosting plan in one neat package, with up to 300 themes, Office 365 business email, and a mobile site included for Business and Business Plus customers. 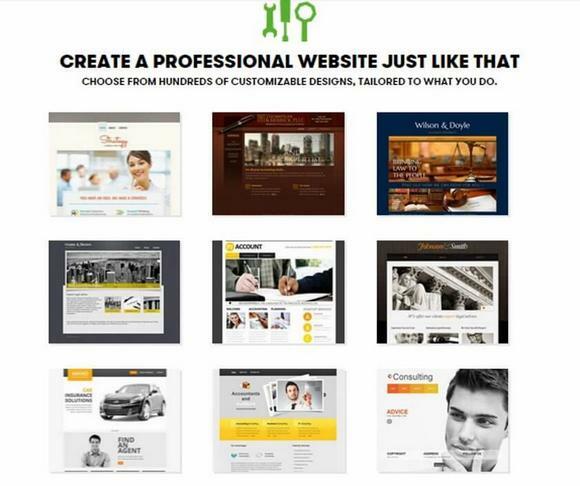 Many GoDaddy website builder reviews heap high praise on this service. With an intuitive system, and themes that look professional, (if not outstanding), straight out of the box, this option makes building your site simple—although, with limited options, you may not be able to allow your creativity to run rampant. Both the website builder and the web design services can be used on GoDaddy transfer domains, too. Bring your old site over and freshen it up with GoDaddy’s tools. GoDaddy's support network is huge, which may explain why it has not received the best reviews. If understand the problem that you are experiencing, it's relatively straightforward to get in touch and get it fixed. However, if you're not quite sure what may be happening, the GoDaddy’s tech support staff might not be as well-trained as you would like them to be. Unlike some other providers, GoDaddy can't boast one minute average wait times for telephone support. However, if you really are stuck, you can expect to be put on the line to a real expert. You may have to wait a little while for your issue to be escalated, though. GoDaddy’s help consists of a substantial and support section, which should be your go-to option when you run up against an issue. If you can't find online guidance for your problem, you might have to call one of the many toll-free GoDaddy phone numbers from anywhere in the world, 24/7– just make sure you clear a gap in your schedule. With all of the discounts offered by GoDaddy and the overall affordable pricing, the company’s hosting services are generally a solid value. Aside from what is included in the annual hosting plans like GoDaddy’s free email and domains, there is little in terms of free offers. I could not find anything regarding GoDaddy free hosting. On the company’s coupon page, I did see a link for a free one-month trial for e-commerce customers and some 30-day trials for payroll and accounting software products. Other than that, there was nothing in the way of free offers from this already discounted provider. Fans of cPanel will get to use their favorite industry standard control panel with GoDaddy. For all of the Linux hosting plans offered by GoDaddy, cPanel is the primary account management software. The company’s Windows plans use the Plesk control panel, as most Windows platforms, do. Using cPanel, GoDaddy adds familiarity to its hosting packages. Customers already familiar with the popular cPanel will appreciate not having to learn how to operate a new system. With cPanel, users can perform simple things like changing email settings to more complicated tasks such as adding, editing, or deleting their GoDaddy CNAME record. For customers managing online projects with high traffic and requiring more power and control, GoDaddy VPS may be worth a look. The company offers five tiers of virtual private server hosting on both Linux and Windows platforms. For all of the customers using VPS, GoDaddy provides managed services standard with every plan to perform monitoring, backups, and patching. Users have administrative access to install PHO, modules, and server-level proxy scripts. Linux plans run cPanel and the Windows plans use Plesk for their control panels. While GoDaddy does offer VPS, cloud, and dedicated hosting, the company primarily markets itself as a shared hosting provider. GoDaddy shared hosting plans are very affordable and come packed with features. GoDaddy is the world’s largest registrar of domain names. A company does not get that big by accident; it did it by providing award-winning 24/7 support, a library of apps, and hyper-vigilant security. All GoDaddy shared hosting plans include tons of storage and email addresses, one-click installation of apps and domain registration, and 24/7 security monitoring and protection. I like the fact that GoDaddy uses its size as an advantage for the customer. Because of their market share and industry experience, the company is able to confidently provide both Linux and Windows hosting options. With three tiers of plans available on each of the two platforms, there should be a fit for nearly every shared hosting online project. Dedicated server hosting primarily provides two things: control and power. With GoDaddy dedicated hosting, users get to select how much of each they want. Control over the server environment means determining the platform, types of hardware, control panel, and software. Power equates to management and GoDaddy has three different levels of dedicated hosting management. Users that want to perform all of the administrative and development tasks can opt for the self-managed plans, and those that want the GoDaddy staff to take the reins might go with the fully-managed option. For the middle-of-the-roaders out there, the company has a third plan that lets the user step in whenever they choose to make content changes, while the people at GoDaddy perform more of the monitoring and maintenance duties. I found this to be very interesting. GoDaddy does not have true cloud hosting plans. However, for an hourly fee with a monthly limit, users can store their online projects on the cloud as opposed to one of the company’s servers. The primary benefit is that customers only pay for the resources that they need. This makes GoDaddy cloud hosting a great option for developers that are constantly tinkering with their site. With cloud storage, you can build and test, replicate and destroy, and configure and scale with ease. Each cloud hosting plan comes with automatic backups, a private network, and solid-state drives. GoDaddy mail is a bit different than some other hosts I have reviewed. Unlike many providers, the company does not offer unlimited email addresses. In reality, that is not too problematic. Even the smallest shared hosting plan comes with 100 email accounts. For businesses that demand even greater email communication capabilities, GoDaddy has a very affordable professional email package. 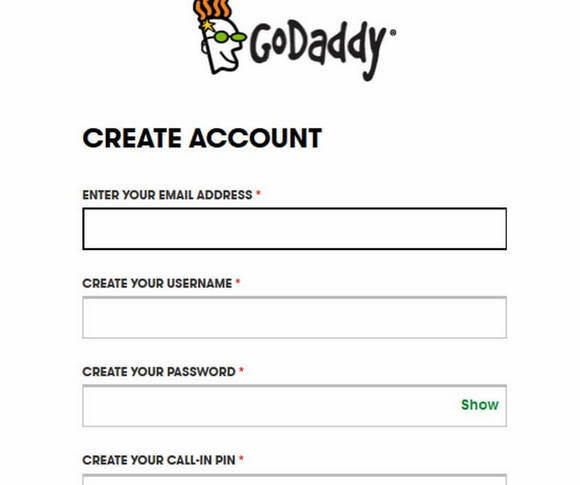 One GoDaddy login provides access to both the control panel of the main project as well as to the email account. This account also includes GoDaddy webmail so that users can stay connected with their customers and adjust their GoDaddy email settings from anywhere in the world, even from a hand-held device. Easily one of the most widely recognizable names in Web hosting, GoDaddy has come a long way since its early days as a simple domain registrar. With lots of different options, GoDaddy themes, and hundreds of apps, this is a fast, reliable, and affordable Web host providing plenty of flexibility and choice for online projects of all scales and scopes. Tech-savvy developers will love GoDaddy’s toolbox full of gadgets. If you're not at home in front of the control panel and run into trouble getting the help you need might be a challenge (according to some GoDaddy hosting reviews). With that said, options like GoDaddy's own site builder offer a more comfortable starting point for beginners, allowing you to build a website without needing to understand the nuts and bolts.